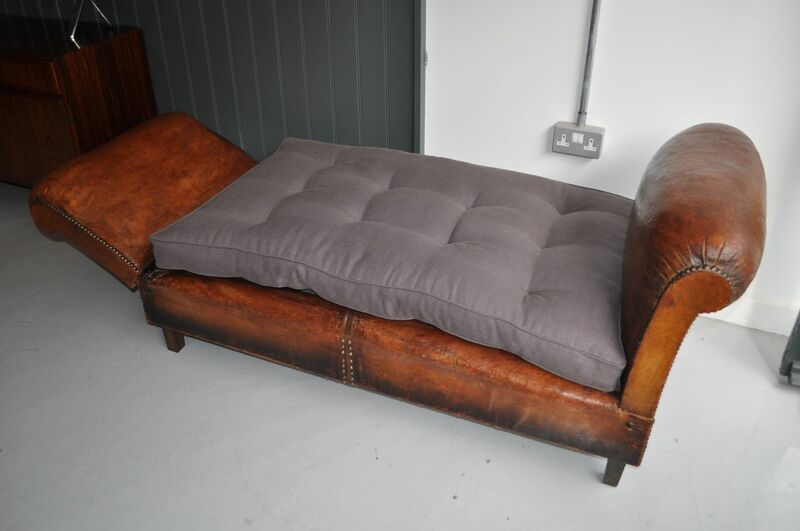 French leather daybed with rolled and pleated arms that can be lowered either 45 degrees or fully flat. 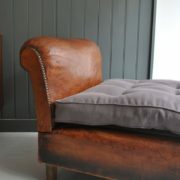 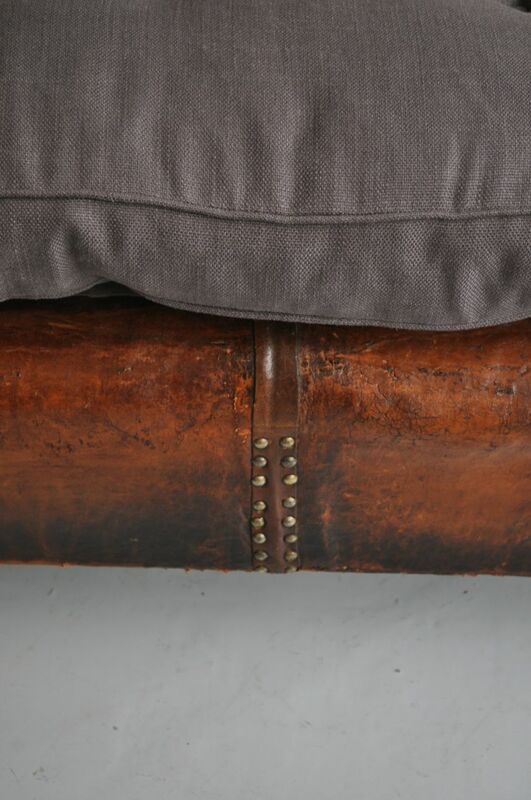 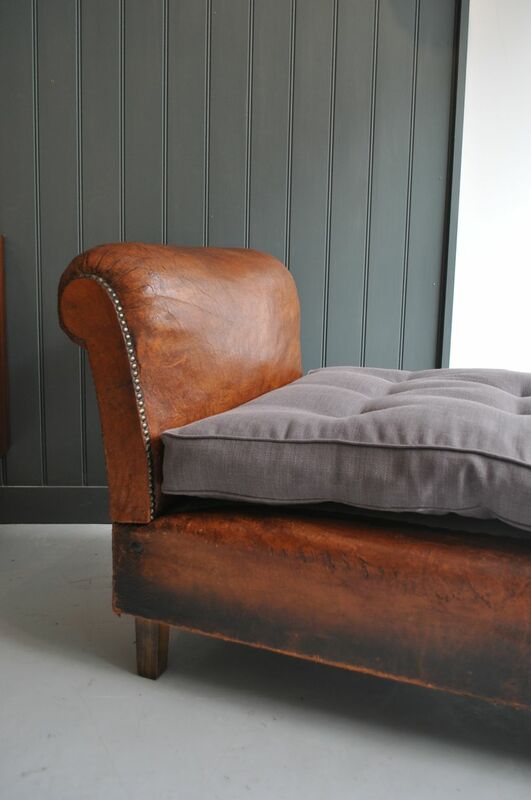 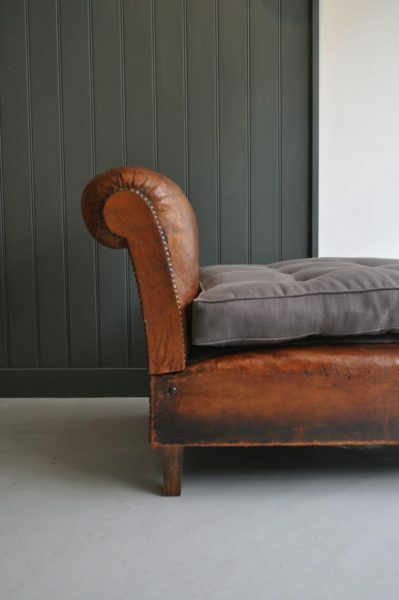 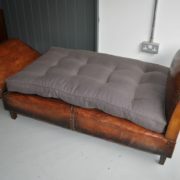 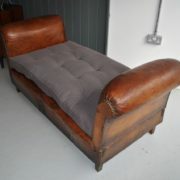 Good colour and patination to the leather, and a newly covered buttoned mattress in grey linen. 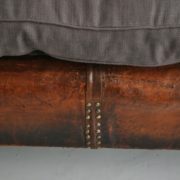 Studding to perimeters of arms and also to centre of base. 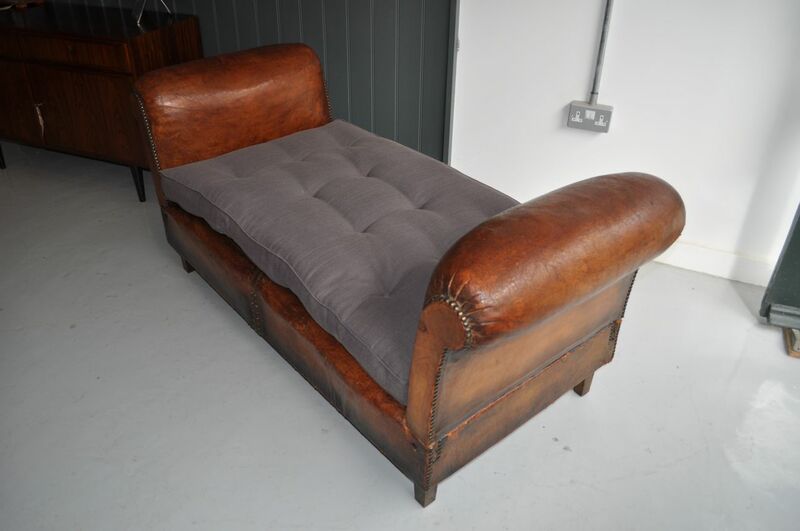 The base has been newly upholstered and given a new top cover also, and the arm mechanism has been tightened to remove any slack.